A spatial building concept was developed on a trapeze-shaped plot of land sloping away to the west which had been designed in completely different ways both regarding its facades and the proportions of the building, in accordance with the location and the geographical orientation. Inside the building the various usage areas are linked together via a central hall. 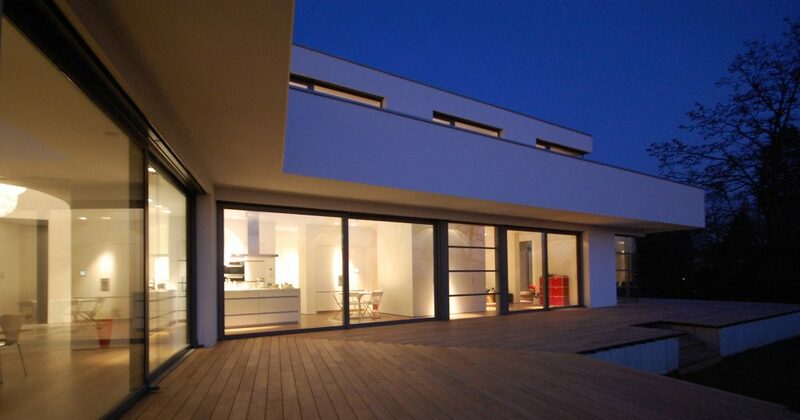 This project evolved in cooperation with the Architects’ office Bünck in Cologne.